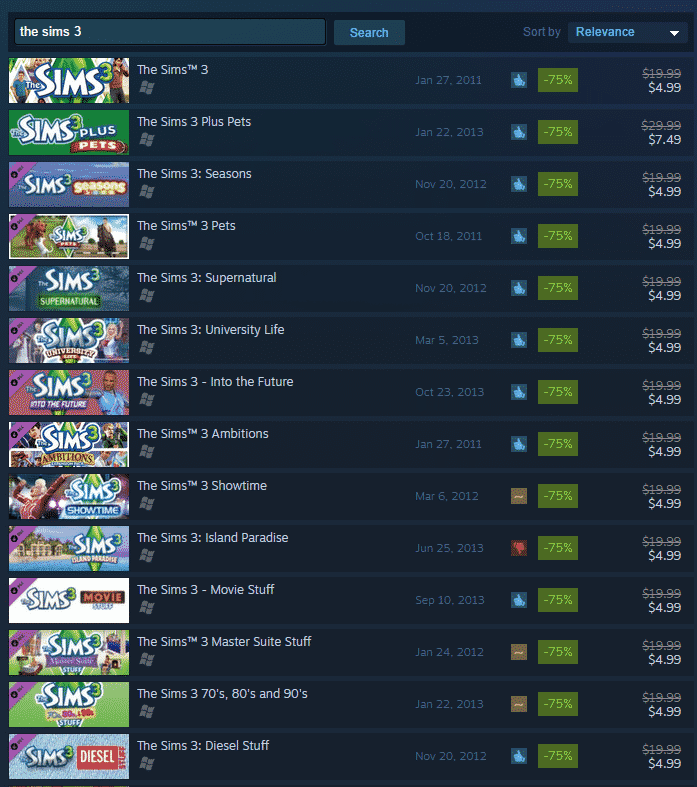 Steam is having a Midweek Madness sale with The Sims 3 games! Each The Sims 3 game is now 75% off. This means that both Expansion Packs and Stuff Packs can be bought for about 5$ each! This offer ends on 23rd of September at 10AM PDT. Click below to check out this offer!